In a life-threatening situation you are advised to dial 000 for an ambulance. Castlemaine Health does not have a resident medical officer. Emergency care and medical assistance is provided with the assistance of a voluntary roster of general practitioners when urgently required. For urgent medical assistance when your usual medical clinic is closed, you may come to the Urgent Care Centre at Castlemaine Health. For non urgent matters, you are advised to contact your own doctor. If your doctor is not available, the Primary Care Clinic in Bendigo (phone 5441 8622) may be able to accommodate you. 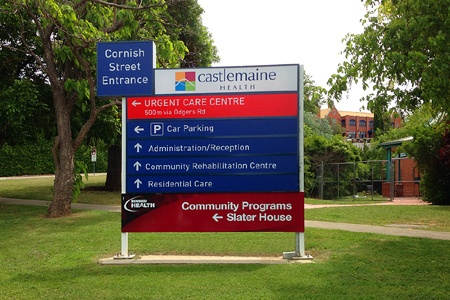 Castlemaine Health welcomes your valuable comments and feedback regarding our hospital services, to help meet your expectations and make your experience more pleasant. If you are not satisfied with our service, please contact us. We take complaints seriously and aim to resolve them quickly and fairly.